A few days ago it was Thanksgiving Day. We were invited out this year. My son-in-law's parents were kind enough to include us in their family meal. It was a wonderful time. My daughter's mother-in-law has recently retired. She has learned how to knit, so we had fun talking about knitting. She showed me some of her new projects. 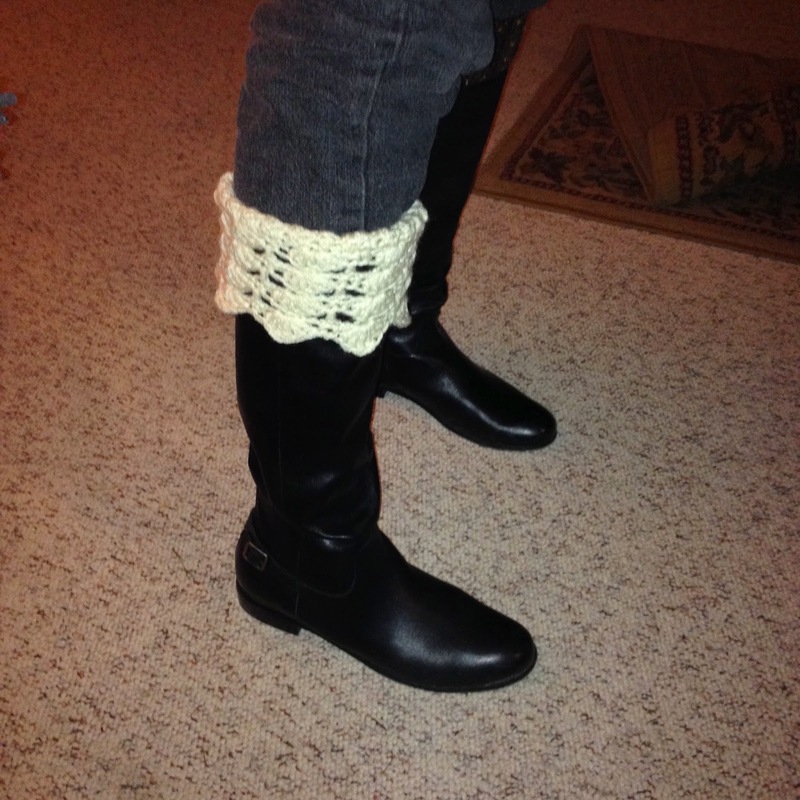 One thing she made were Boot Cuffs. I am so out of touch, I didn't know what they were. When we got home, I looked on ravelry.com and discovered they are very popular. I found many styles and patterns. 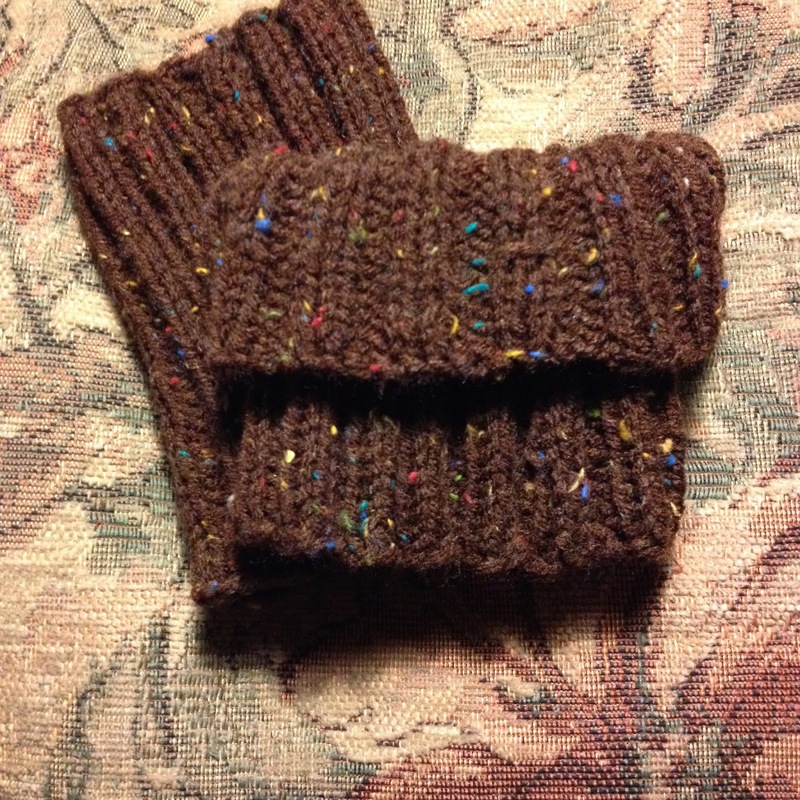 So this past weekend, I pulled out some yarn and started knitting just to see how they looked. I basically cast 56 stitches on a size 8 circular needle. It was a 12 inch circular needle. I did the knit 2, purl 2 ribbing stitch for 4 inches. I would make it 6 inches long next time. It is just a ribbed tube and took no time at all to make. This is the final product. 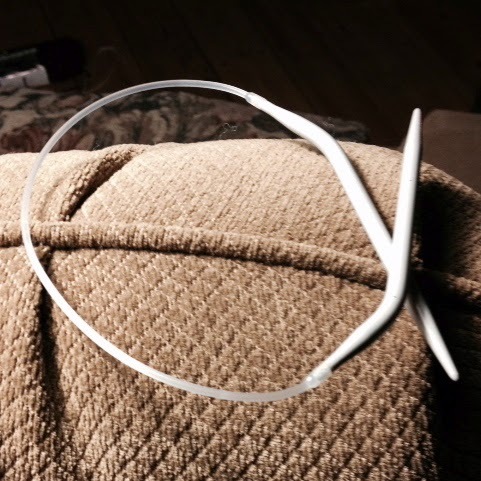 Twelve inch circular knitting needle in a size 8. It looks like I have a wool sock under my boot. These turned out pretty well so I tried another style. These are a little fancier. 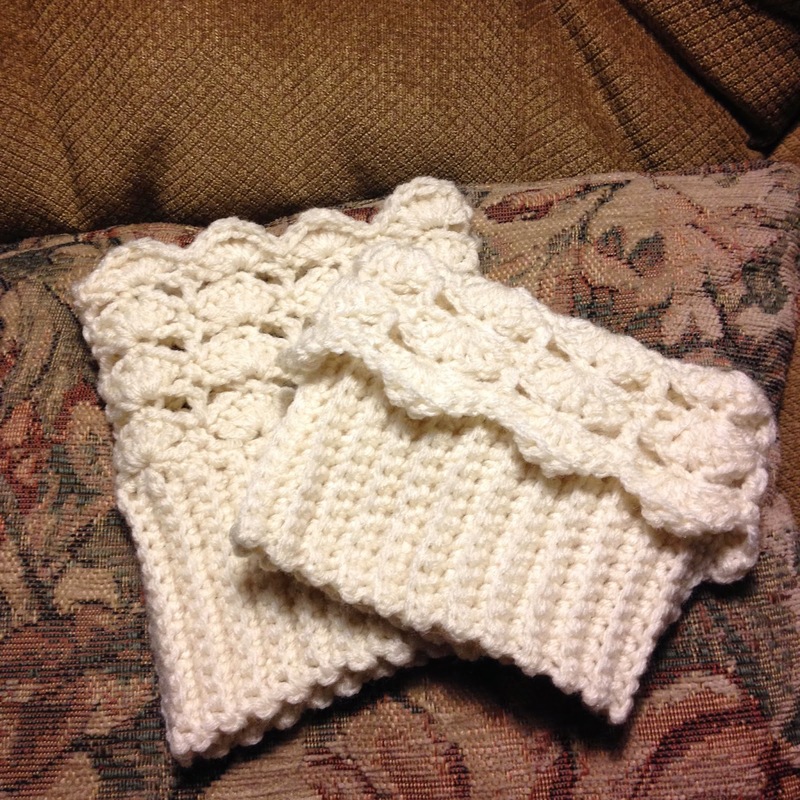 They are done in crochet. These took even less time. I made them during the Green Bay Packer game yesterday. For those who crochet, here is the free pattern. It is called the Belmont Boot Topper. It is on ravelry.com. If you knit or crochet, it is a wonderful website. If you can't find a pattern there, you may not find it anywhere. I plan on making more and trying some different styles. 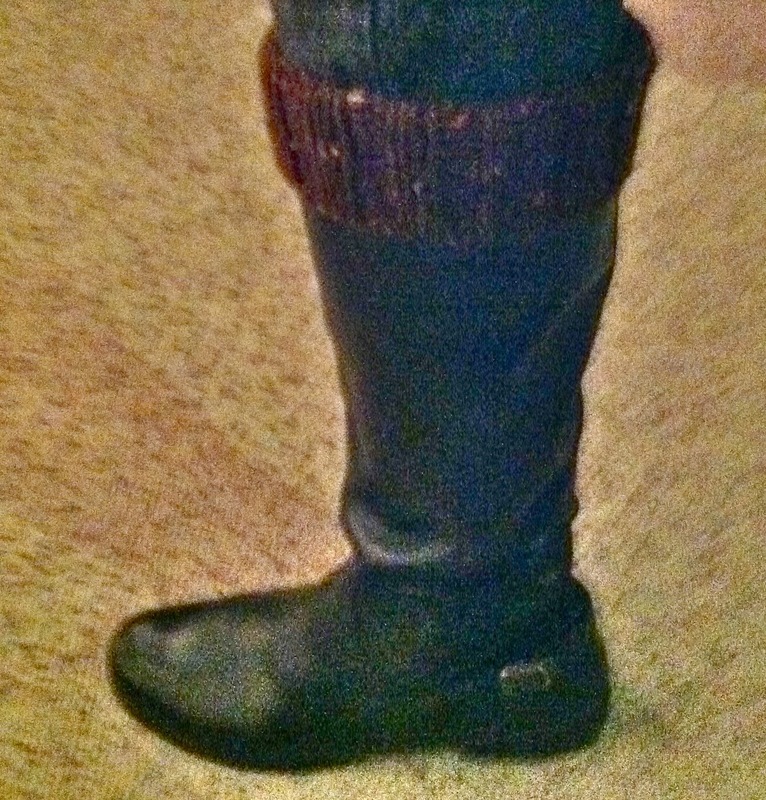 I think I am a little old to wear this trendy style, but the ribbed style does add warmth. Today we certainly needed all the warmth we could get.